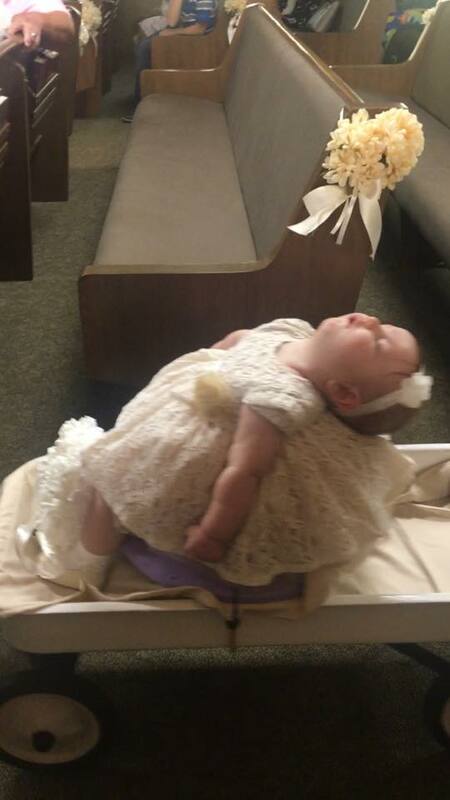 Six-month-old Rugbie Moring was supposed to be sharing flower girl duties with her older sister Alexandria. Their aunt was getting married and everyone was excited – maybe a little too excited, it turns out. As anyone who has ever been part of a wedding party knows, the events leading up to the main shebang can often be exhausting (hair, makeup, champagne, pictures, etc. 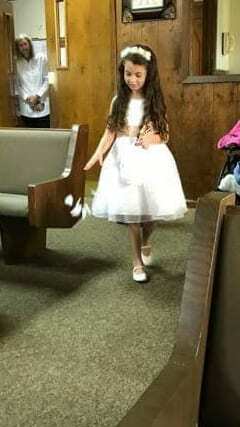 ), and about twenty minutes before it was time to walk down the aisle, Rugbie’s dad could see the little girl was fading fast. He thought he could get her to take a “quick little power nap,” but as you can see, that didn’t exactly work out as planned. 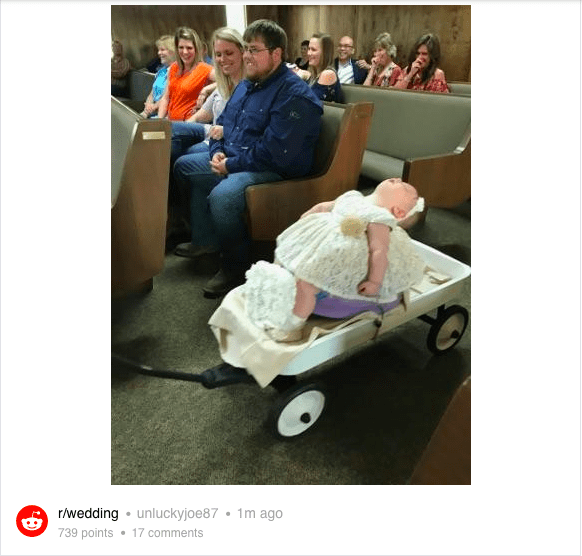 So, Dad did what any enterprising man who feared getting in trouble for ruining a wedding would do – he strapped her in, made sure she was comfortable and sent her down the aisle. Luckily, everyone thought it was hilarious and adorable, and her older sister managed to stay conscious to distribute the flower petals. No harm done, and enough cuteness to go around the whole Internet. Mazel Tov!